We run Incredible Edible off the smell of an oily rag. 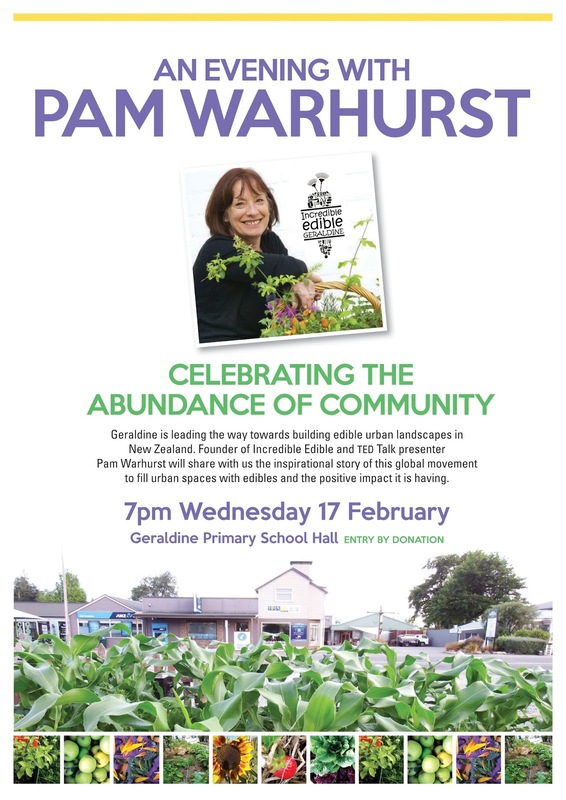 No big advertising budgets, just local newspapers and word of mouth - want to help spread the news of Pam Warhurst's visit to Geraldine? Click here to download our poster, print it out and post it up around town, at your school, your business - wherever you like. Thanks heaps from the Incredible Edible Team!